I rely on how the dough I’m kneading feels to know when it’s ready to rest and rise. 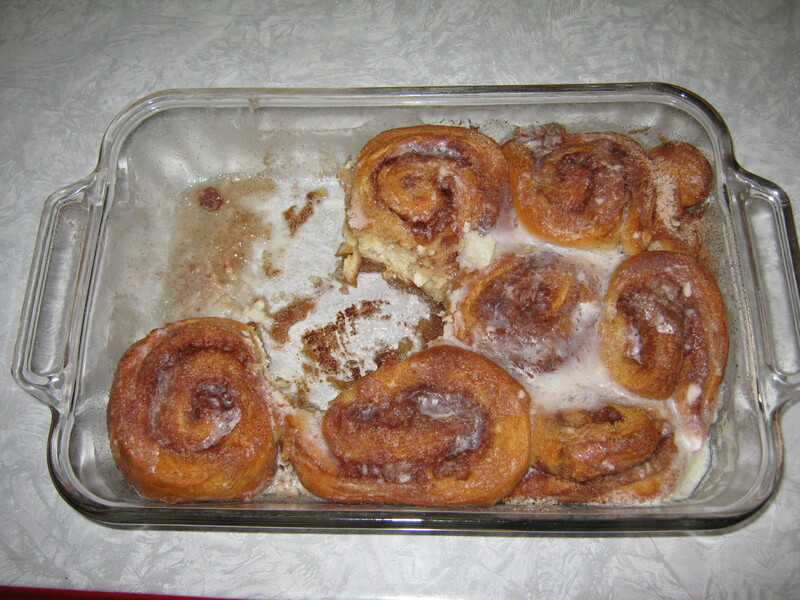 Since using the dough hook instead of by hand took the “feel” away, the dough was way overkneaded and so the texture of the cinnamon rolls left something to be desired. Fortunately, they’re delicious and since the family has never let a little think like texture stand in the way of enjoyment, they’ll probably be gone by tomorrow morning at the latest. They’re also quite ugly, no food stylist here, but again, they’re tasty. See what I mean? I made lentil soup today. I’d never had lentils, had just about every type of bean besides those, being from the south, but they were good. It was a vegetarian recipe, which was a departure for me, but turned out well. A keeper I’m pretty sure.